Gustave Caillebotte, Paris Street; Rainy Day, 1877 exhibited at the Art Institute of Chicago. At 7′ 10″ x 6′ 1″ (239 x 185cm), the foreground figures are life-size and feels like you can just walk into the scene. Gustave Caillebotte, Study drawing for Paris Street; Rainy Day, collection The Art Institute of Chicago. This rough drawing scales up perfectly to the painting. 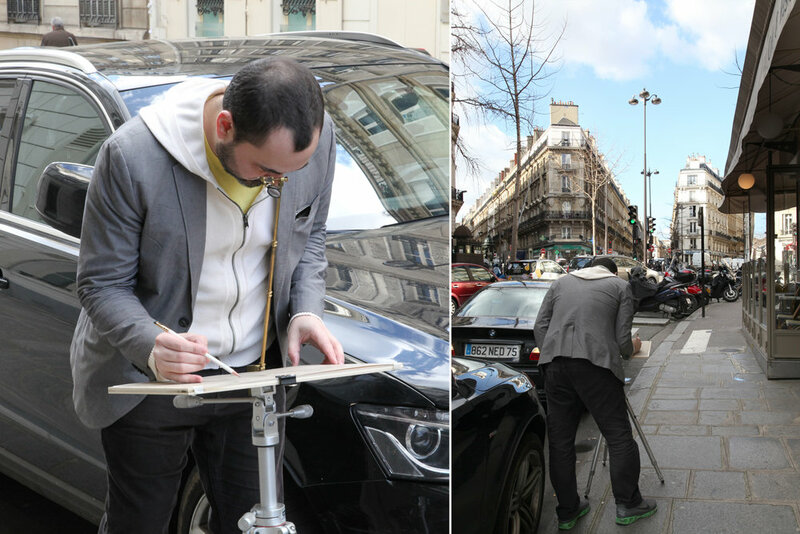 On the Rue de Turin in Paris, I set up my vintage camera lucida to test whether the Caillebotte drawing aligns with the scene. 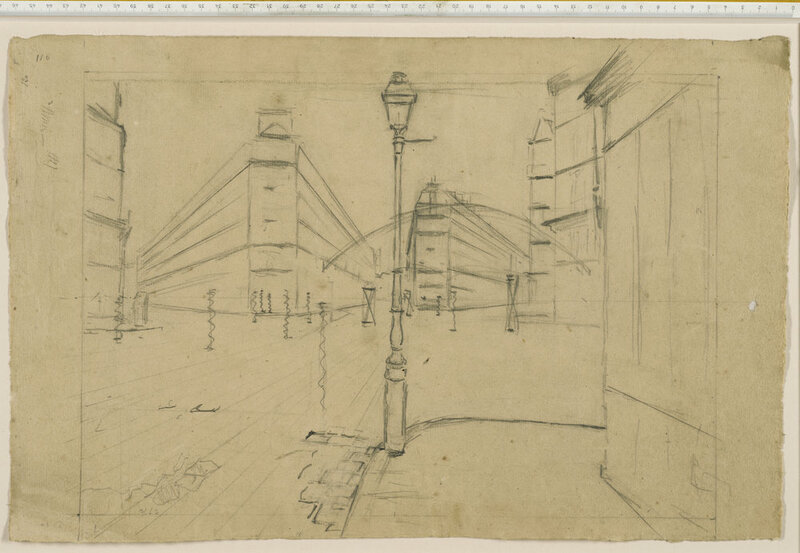 From the Art Institute of Chicago Online Scholarly Catalog for Caillebotte, I explain the process of locating the precise spot Caillebotte located his camera lucida for the preliminary study drawing. 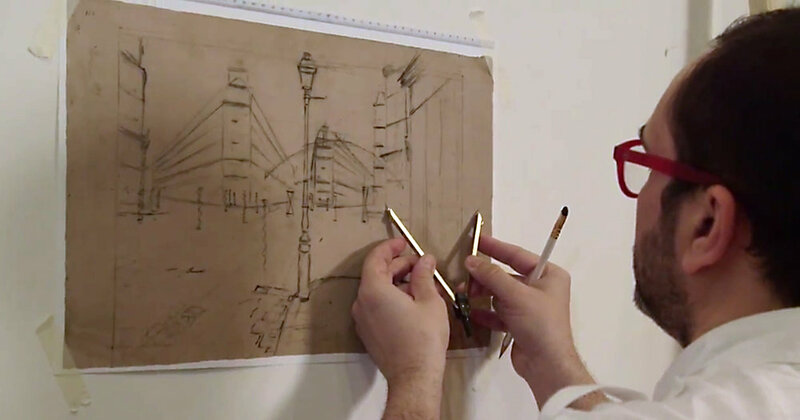 Once the alignment was confirmed on Rue de Turin, I began the process of using drafting tools to transfer the study drawing to a large canvas. 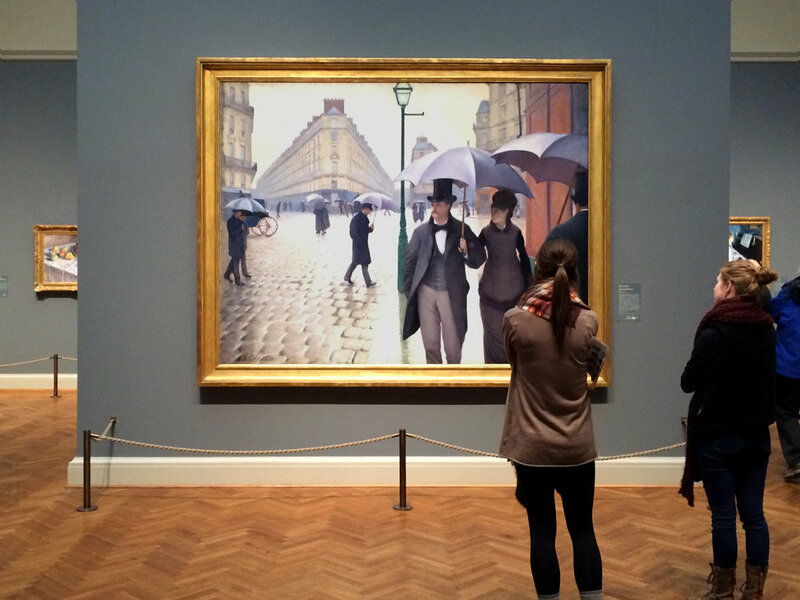 This tests the methods Caillebotte may have used to create the final full scale painting.